Let’s review LIC Jeevan Ankur plan and try to come at a decision that one should buy this plan to fulfill the needs of child or with this plan LIC is fulfilling its own needs of business. As a reviewer’s job (right now you can also call me a critic), it is very interesting when you are doing a review on a product which is from the giant Life Insurance Corporation of India. From a player which has a history and the backing of profitable books, coupled with most respectable (trusted) brand you expect a multi-bagger. Here comes their new offering LIC Jeevan Ankur, which is an endowment plan targeted for Child Future Goals. In LIC’s words “Jeevan Ankur is a conventional with profit plan, specially designed to meet the educational and other needs of your child”. The plan will not have a loan facility so HNIs looking for a refinance on the policy cannot avail the benefit of leveraging. You check the presentation; I am waiting for you on the other side of it to explain what’s wrong with LIC Jeevan Ankur & how it will generate only 1.53% return (you can also check calculations). If I take the present returns that endowment plans offer, these are around 5-6% if you are lucky. I have seen policies giving return less than 5% also & you will see 1.53% for LIC Jeevan Ankur. And I am not cursing the product manufacturer for the returns part as they have very few things in hand to deliver returns. The product by nature is low on returns due to its rigid fund management & high on expense due to heavy commission to the distributor. But when they also know that the product will just give marginal returns, why do they promote and market this kind of product? What kind of financial planning are they trying to promote when your offering cannot even beat the inflation. Is this not a mis-selling case when you use heavy and emotional word like “Child Future” and offer a product which is for your “Own Future”? And when I say “own”, it includes the manufacturer and the agent. Have you ever thought why agents are ready to pay your first cheque in a quarterly premium policy? The answer lays in the fact that endowment plans offer the best & consistent commission which is available in the entire financial product category be it Equity, Mutual Funds, Small Saving instruments or Banking Products. 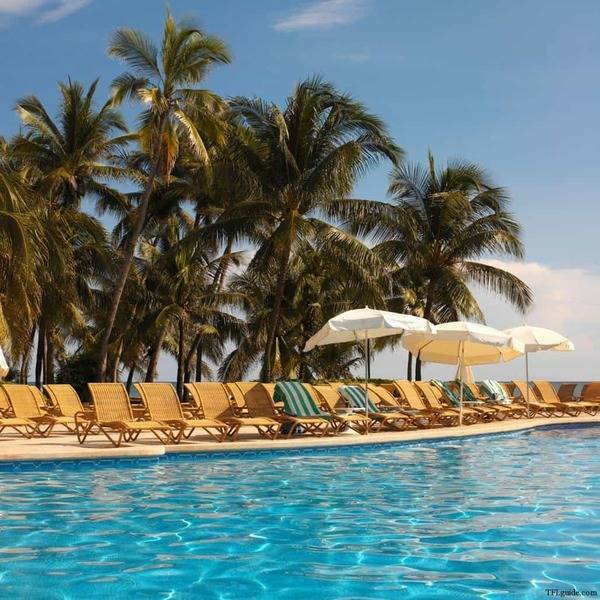 At present the commission to the agent is around 15% to 35% for the first year and 5% to 7.5% in the subsequent years. Now you may guess! Would you like to buy a product which gives returns less than saving bank account? If yes, LIC Jeevan Ankur is a no brainer. Let’s check returns as per above mentioned illustration. Yearly premium shown in illustration 2 of LIC Jeevan Ankur is Rs 9055 & if we add service tax, premium will be around Rs 9192 per year. 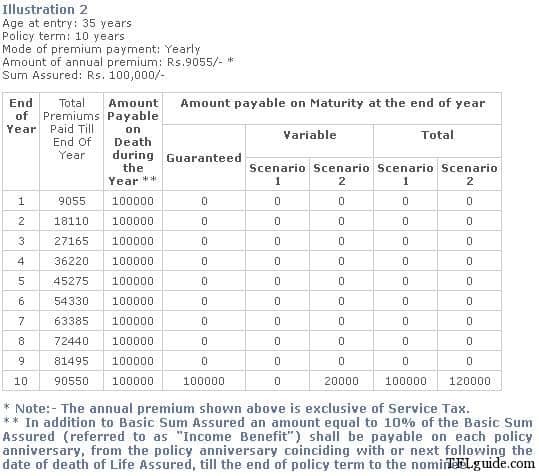 So total premium paid will be Rs 91908 & final maturity according to scenario 1 (Projected Investment Rate of Return assumption of 6% p.a. – being traditional plan it will be illogical to assume scenario 2 that is based on 10% returns) will be Rs 1 Lakh. So if you calculate IRR (Internal Rate of Return) this will come around 1.53%. For other calculations check below table – you can check mortality charges in death benefit point. Should you buy LIC Jeevan Ankur ? Does this question still make any sense? I have already said a lot now and you know what will be my answer. So in the language of a decent film critic my rating to LIC Jeevan Ankur is – Compulsory Miss. If you agree with my views must share this article with your friends – we can save few more financial lives this year. If you have any question regarding LIC Jeevan Ankur or any other LIC policy, feel free to add in comment section. Dear. Mr. Hemant, kindly understand to calculate the irr, which child policy can give better yield in 10 years period, while suggesting / comments about any product kindly go through the benefits throughly, & take example all the illlustrations. You are taken only for 10 years period, even there also irr is 1.8% not 1.53, if you take even single premium @ the lower side loyalty addition it is 4%, if you take a long term presentation for higher side it is 6%. If you increase the policy value, you will get better return. As you told Term & MF / it is only beneficial for companies, because in India average longevity of Term Insurance only 5-6 yrs, the same for MF it is lower. Then from you can give Financial Freedom to Investors. You people write & vanish, it is our hard earned money, we need safety & savings then Bigger yield. where is your so called MF /equity yield for last few years. Don’t mislead middle/ upper middle class people. for Upper class your advise not necessary. You are not doing any charity, you also earning money by profession, the same way agent/ advisers also making their earning, you must understand the so called commission paid by company as because of level premium. Before start to write apply your mind. Would request you to kindly reply to RAMESH. it’ll be a worthy discussion for benefit of all ‘Financial Illiterates’ out here. PLEASE….. Kindly Reply. Other illustration available on LIC website was for 25 years – hope we are talking about child future planning & not grandchildren future planning. death benefit is = SA immediate payment+ 10% of SA every policy anniversary till the policy terms ends + and once again SA with loyalty additions. in case of death of parent child and family is Fully protracted. but in MF only amount invested is paid back, if family is aware well enough about the investments. sir what about LICI’S JEEVAN VRIDDHI? Jeevan Saral policy purchased 04 may 2009 with SA 425000 for 26 years of 20417 annual premium. should I surrender the policy or partial surrender the policy as I need money. I have 25Lac term insurance company provided. Nice and useful article. Requesting you to write about LIC Jeevan Anand plan as well. Since more ppl are buying this plan now a days. Thanks for idea Karthick – give me some time. If possible on Jeevan Shri(old) plan also table-112 Please. No one is giving correct information on this one. I think after reading this article people will think twice before investing in LIC plans. Great work. Do keep writing and make everyone enlighten by the knowledge. NO child Policy – only a term plan for earning member. Please, suggest a good term plan. Check HDFC, Birla or LIC. Sir For tax benifit, i wanted to take LIC plan , my budget is 2 lac./annum. There is a long way to go………. no we trust only LIC policies along then only MF because without LIC policies one can’t survive in their life time. because so called MF / EQUITY can’t guarantee the future, we need safety first / event has to be taken care like child education. then only other investment. kindly understand Financial Pyramid. I understand and take insurance as a risk cover and not as an investment option. In this case higher claim settlement ratio makes more sense than the outgo/ returns. I want to know about Jeevan Saral policy. I am paying premium from April 2008. Can i surrender this policy after 5 years? I want to take term plan for me and my family. After reading your articles about endowment plan i don’t want to put my money in LIC. I can use that money for term insurance and can increase mutual fund sip amt. Are you referrring to Ms Monika Halan? I think last year it was Bima Account. Please be careful with the LIC agents, many will become enemy. Btw., why do you consider insurance as investment? Insurance plans are not meant for investment. As this product is by LIC so it will definitely get the required hype. The same product is already with ICICI prudential with name smart kid. On one side being an endowment you can’t expect much returns and to add it to worse the inbuilt riders like income benefit and waiver of premium increases the expenses and thus hit the returns. I wonder who will purchase this plan. If someone’s human life value says that he requires 50lakhs of sum assured, what premium he would have to pay for such kind of plan . If at all person agrees to pay such a huge premium, how long can he actually afford to pay by looking at such a low returns. Clearly term Insurance and PPF for safe returns and Term Insurance + equity MF for decent returns are true winner. Such kind of plans helps us as a planner to make people understand the importance of “Planning for child future” rather than buying a “Child Future oriented plan” . Excellent analysis and articles..Could you please show some light on LIC Jeevan Aanand. I paid 2 premiums of 20,000/year. It is worth to continue. I was thinking about writing on this but I can’t write a better article on this plan! Hey,do you know any other Endowment plan which gives even 1.53% returns only by returning Sum Assured without adding loyalty addition???? You will find such policies with private life insurance companies – read money life article. Just 1.53% let money lie in saving bank account! Very detailed article and a must read. LIC will still be able to mop crores! Child Plans are Emotional Atyachar at its best. MoneyLife link is not working! Great Article, an eyeopener for person like me who has always invested in such stupid policies in pressure of friends & family members who are lic agents. After reading this article I did some research on my existing policies n was shocked to see that loyalty bonus on those polices is less than 50 at the time of maturity. In LIC Jeevan Ankur you have taken loyalty bonus of 100 per 1000 but if we reduced it to 50, I think we are going to be bankrupt soon. I am sharing this article with all my friends. Keep Rocking!! Thanks Sanjay for sharing this with your friends. In 2022, entire amount is received from LIC Jeevan Ankur assuming loyalty addition as zero in first case, 10000 in second case and 20000 in third case. 20000 loyalty bonus means Rs 200 per thousand – its huge. In 2010 loyalty bonuses were in range of “Nav prabhat 40, New Jeevan Shree 45, Jeevan Samridhi 20, Bima nivesh¬2002 45, Komal Jeevan 20” and another thing is it is never guaranteed – they always right “IF ANY”. Thanks for eye opener article. I was about to invest in Ankur. Can you please suggest me the Term insurance plan ? Or I should buy endowment plan. I have taken home loan of 25 lacs. I want to have insurance cover of 25 lacs , Age 39 years , term 20 years. I will prefer LIC on other private firm. I am thinking for some investment for betterment and also helpful in saving tax .. nowadays HDFC Life ad is seen a lot on television and so i checked it online but confused about the same. Can you share your views about hows this plan and if its useful or any better plan u may suggest. THANKS a lot for very good review.. many of us dont do the required research and blindly invest in these low return products all of our hard earned money. I am going to stop paying premium for my endowment and money back policies with lic. I am paying huge premium of Rs 44000 per year for a life cover of mere 6 lakhs from LIC. Last week i purchased a term plan online from hdfc for a life cover of FIFTY LAKHS for annual premium of Rs 8500. Now i can divert the remaining 35000 to PPF/FDs and get annual returns of atleast 8%. Please tell me what child plan woud be best. My age is 36 Years and my Son is 1.5 years old. I want to buy a good plan for him. Its Mind blowing illustration of these type endowment plan. Its already share in my page of Face book. And I have personally sharing with my all clients. hi to all, friend the illustration is great here and helpful to much peoples around here, well it on one part which is for the investment purpose, now see the other aspect of the plan, first i like to remind u that the purpose of insurance is to insure one life first and along with safety a return to the life proposed at the time of maturity. In jeevan ankur the part which is return of 10% of sum asured to the nominee in the case of death of the proposed + sum assured with loyalty addition at the time of death of life proposed + sum assured at the time of maturity (when life proposed consider to be alive)to nominee even after death of life proposed. i really admire the critical illustration here, but would like to focus this area too. plans of insurance are made for the safety of the people with a handsome return at the time of maturity, though banks have not to cover the risk that is why do not mix bank and insurance product together, both are beneficial for you all. have a happy healthy life to you all. Thanks for adding your valuable comment here – if you look at the death benefit & table in the above post, I have already considered the insurance part. I agree with you. It may be mere 1.53% return but it is positive , rather than you get negative return on SIP. Nobody gives guaranted return. After investing through SIP if you get negative returns , better to invest in LIC atleast you get the money back . This is very conservative. Else for better return Term insurance + PPF will be better as suggested by Sh. Hemant. Hi all, the article looks good. In fact, many articles look good. It becomes interesting when someone writes against the convention. Conventionally, we all have been LIC customers. I don’t know if a specific plan gives returns or doesn’t or whether its good or not. However, all that I have seen with the large number of my relatives is, whatever money they have invested in LIC, they have got it back with returns (returns may be 0.5% or 5% or whatever). The fact is they have got it. But, whatever money they have invested in private insurance companies is lost. I don’t know the financial intricacies, complexities, ratios, returns, percentages, etc. A common man doesn’t understand all this. All I know is, if I invest in LIC, I will get my money back. Simple. So, if I want to buy insurance, I will buy from LIC. Of course, there are other products like this site suggests, like MF, SIP, etc. which offer better returns. Off late, even MF SIPs have been on the losing front. SIPs that gave me 15% returns in 2007 are giving me negative returns now. Now, I know that you will say that over long term, equity markets will outperform. My only point is a if one wants to go for insurance, its better to go with LIC. Firstly, be assured of getting money back. Secondly, insurance is meant to give protection to family in case of insured’s death. And we know how the claims process of private insurers works. These are my personal opinion based on practical experience. Even the 30-40 uncles/aunties in my family opine the same. Don’t think this sentence “whatever money they have invested in private insurance companies is lost.” is true,at least for endowment or moneyback plans. Quite true Puneet, your comment is the single sensitive comment I have come to read till now, though I have below comments to be read. Your point is very true. Me too thinking of getting excellent returns of 15-20-30% from Equity Mutual Funds, invested a big big part of my money both lump sum as well as SIP in 2007 and till now, what I have got is negative returns, they have never been up since past 2.5 years. Now before getting this so called educated investor knowledge to invest in Term plan + mutual fund, I was a zero in investment terminology and bougth 2 LIC policies 10 years back and 6 years back. The enthusing part is that I can see a good bonus amount when I login to my LIC account. This amount gives me a smile and this smile is taken away by my mutual funds about which I am now waiting them to come equal. So for a layman and person having little knowledge, LIC is best. Yes I agree for a person who is wonderful in stock markets, nothing better than equity markets. Your views are just few of those thoughts that come to an Indian who is buying LIC policies from decades. But the fact of the matter is that Indians have not understood purpose behind insurance. I can only say that there are plenty of people who learn mathematics but there are very few understand it and apply it properly. Please upgrade yourself to later category and you will see the good difference. You don’t like risk..don’t take it! A good night’s sleep matters! I am not going into the argument of long-term return potential of equity investment and inflation etc. But honestly, why don’t you try PPF, if you have the option, then EPF also? Then you have bank FDs, Post office schemes, etc. If those 2%-5% returns of endowment plans gave you smile, these options will make you euphoric! They are very safe also. FD or PO schemes may be taxable, but even then they will give you better yield than most endowment plans. Dear Amit, forgot to mention..please also consider a Term Plan for sufficient insurance cover. endowment plans doesn’t really provide sufficient insurance cover. A very good morning to you Puneet. As a LIC Agent i am very much greatful to you. No body will understand that LIC is for their life risk. If the head of the family is dead, than who wl take care of them who are always depends on him. If he wd have done LIC ” than LIC is one only ins. who holds his family. I am with U, thank you very much. Having sufficient life cover is extremely important for the reasons you mentioned above. And for that one should buy sufficient TERM INSURANCE PLAN…no doubt about it. As you can see, endowment plans are neither good in terms of returns, nor good for providing sufficient insurance cover. Dear Puneet, I came accross a similar post in some other review, So, I thought to copy paste the same reply I gave in that review with some changes as I think you are comparing ULIPs with traditional plans!! 1. Those Pvt. insurance products your relatives bought were ULIPs or traditional plans? I guess ULIPs. Which fund did they choose? I guess equity fund. Now, during the same period when they were invested, how much returns LIC’s ULIP plans with equity fund investment delivered? Is it more, less, or equal to the returns generated by Pvt. players? You should compare that. 2. If you invest in traditional plans of Pvt. insurers, on maturity you will get similar benefits like sum assured, bonus, terminal bonus etc. on maturity, like LIC. Returns will also be more or less similar, i.e. pathetic. Further, instead of buying these plans you may invest in PPF, it will serve the same purpose and will also give you much higher returns. For insurance cover just buy a Term Plan..may be from LIC. In fact bank FDs and post office schemes are giving better post tax returns even for 30% tax slab than most of these endowment schemes. 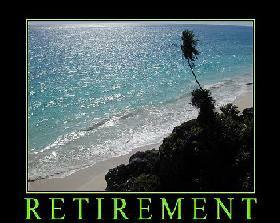 “Yes” if there are couple of years in retirement & you have not achieved your financial goals. DR SANDEEP PAI HERE. AM 32 AND INTERESTED IN INVESTING IN MUTUAL FUNDS. HAVE GONE THROUGH THE 5 STAR RATED FUNDS SUGGESTED IN YOUR WEBSITE. FOUND IT QUITE USEFUL.I WANTED TO ASK WHETHER NAV MAKES A LOT OF DIFFERENCE IN SIP MODE OF INVESTMENT.I HAVE ALSO READ OF YOUR ARTICLE ABOUT COST AVERAGING IN SIP. BUT SOMEHOW NOT CONVINCED. I WANTED TO INVEST IN HDFC TOP 200 COUPLE OF MONTHS AGO NAV 175. NOW NAV IS 191. WONT IT BE GOOD FOR ME TO WAIT TILL MARKET FALLS AND SO CORRESPONDINGLY THE NAV TO MAKE MY INITIAL MINIMUM INVESTMENT OF 5000. I ALSO KNOW THAT NO ONE CAN TIME THEIR INVESTMENT PERFECTLY ACCORDING TO MARKET. BUT DONT YOU THINK IF I INVEST NOW , THAT MONEYWOULD BE LESSER IF NAV BECOMES 165 OR SO? My husband and me had taken LIC Bima Gold (money back plan) in 2007. We got our first money back of Rs. 50,000 each in 2011. Now, by reading all your articles, we feel that we are not getting enough returns keeping in view the rising inflation. Your articles are really good,which is a topic in our friends gatherings.Can you suggest me some pension plans, my age is 30. Keep updating. I read all your articles and ask my friends to read it, I try to fwd your link to as many. See Term + PPF is a great combo – if you are looking only for LIC wait for their online term plan. Thanks a lot for your article. It’s realy good to know why we are investing in such products which are not even able to cover inflation. Could you pls tell me same things about Jeevan Saral plan -165? I will suggest you to read moneylife article which is linked in post. Its really nice to read all your articles, but still lic will end up selling huge number of plans & also agents will make killing commissions out of this plan!!! I also want you to write some article on jeevan anand one of the worst plans i have seen in my life!!! Now a days lic is selling plans called magaic plan!! I guess this plan is bundled with many endownment plan. Jeevan Anand also falls in less than 4% Category. Its really a gr8 work and an eye opener for me. Thanks a lot Hemant. Pls give me an idea whether i must invest anywhere else , I m investing right now in PPF and Postal Life Insurance. All I know is that now you surely would have become target of people who will not agree with your views. Your mail box would have received few anonymous mails of people you would not agree and will not dare to come out in open to say they don’t agree. Few would also question your intentions of taking a monster head-to-head and you would encounter their wrath in form of mails which will be full of curse and bad words. And as a person whom I know from your publications, you would not refrain and keep yourself marching ahead. Do not feel alone my friend. You are simply fabulous and thousands will know in future that Hemant at least tried to save them from a mistake. Leave the critics to time and let them envy your zeal to say truth. Thanks a lot for your support & motivation. There were 10 ways of doing LIC Jeevan Ankur Review but I have chosen the most HARSH one – I knew in advance that people may react as mentioned by you. 😉 But I want to disturb the wrong thought process that people have regarding their finances. I am very disappointed with LIC. I dont understand such a big brand like LIC does not come up with something better than savings bank account at least. The reason for this kind of policies come day in day out is that there are many people who still have not learnt their lessons. I wonder how LIC won the Global Peacock award..
LIC should take some lessons for UTI. Please delete your number, this is an open forum. You could contact Hemantji separately for consultancy. Plz give your previous policies’ history, your date of birth & occupation details so that I can help you for the same. Nice article Hemantji. I don’t know why, but there are people who blindly trust LIC and ready to pay a premium to LIC for anything that’s available much cheaper and better outside. We should pat LIC for that. But on the integrity terms, there are so many plans that promises to do something which is not remotely achievable. Anyway, people who are smart enough to take some learning from this should definitely do so. Wonderful thanks a lot. Can you please advise any policy for children which has better returns. I think you have not understood this article. This is not against LIC Jeevan Ankur but this is against thought process of people who think that insurance policies should be taken for investment purpose. Nobody should buy insurance policy only for returns on investment. This is an Indian problem. They do not understand the basics of insurance. Insurance is a risk management tool. It is possible to arrive at your financial risk at any point of time. You have to take an insurance of the equivalent amount. To beat inflation, take insurance of higher amount. If your financial risk is Rs.20 lakh and you are taking a policy of 20 years,just keep it in mind that in India inflation rate on an average is around 7% and therefore instead of 20 lakh, you should take an insurance of 70 lakh. If you take a term insurance policy at a young age, premium will not exceed Rs. 20 thousand per annum. If you want a good maturity value, the premium will obviously be more. It pays to be with LIC as they are more transparent and trustworthy. I fully agree with your first point & that’s the sole reason why we suggest that people should not mix insurance with investments. For insurance (life) buy term plans & for investments there are n number of instruments. The second point really has some sound logic. Take an excel sheet and you will find that at 7% inflation rate compunding annually on Rs 20 lakh today is equivalent to Rs 70 lakh after 20 years. Now,you do not know when the premature death may occur.If it comes in the very first year,perhaps 20 lakh is fine.But, if it comes towards the end of the term then value of 20 lakh will be significantly less. I have mentioned about term insurance because it is the cheapest plan and can be afforded by a large number of people. If you are very very wealthy and earn unlimited money,then perhaps you do not require life insurance….. But, 95% Indians need life insurance and I request the return conscious people to consider how much return you will get if after paying one or two premiums of Rs.20 thousand,you suddenly die and your family gets Rs.70 lakh as policy proceeds? I had purchased Jeevan Ankur for my Baby 1.5 years old for 25 years in ecs mode for 6lacs sum assured. I had already continued it for 6 months. 1) As the returns are significantly low with compare to other child policy, shall I discontinue it? If yes, 2) After how many years I can surrender to get back my basic amount invested? Thanks Hemant for such a well explanatory article. I was searching such detailed article for LIC agents who anyhow want to convince me about the LIC policies. After having discussion with you I am very much convinced not to buy any LIC policy anymore rather planning to surrender the existing one but was looking for an article which helps me to make these agents understand how LIC and its agents are only getting benefitted from LIC policies not the person who bought the product. There are more than 13 Lakh LIC agents in India + 12 lakh other people who sell insurance, incl. private insurance agents, bankers, post office people, brokers & even guys from some MLM companies. So almost 1 person to serve 50 people but still Indians are underinsured. Good Article Hemant, I am looking for Child Educational Policy, plz suggest which one is best investment policy. now child age is 2.5 years. Only 1 suggestion – think beyond insurance policies. Go for CDA Plans offered by one & only Giant of Isurance Industry – LIC. I have asked several people wheather Insurance premium is an expense, income, asset or liability and most have answered shocckingly an asset. When we learnt our basic of accounting it appeared always on dr side of p&L a/c. Did u ever see Insurance premium on assets side of the balance sheet? Never. But ask policy holders and they treat this an asset. An asset which u can not sale, transfer. U can not take loan (at 9% -10%) whereas underlying yields only 3-6%. It is a future liability of paying the premiums. All these non sense for sack of taking tax benefit. Keep up ur efforts and find leading newpaper to publish such articles. Anybody has any visibility on claim processing hurdles from Private Insurance Companies. I have heard that private insurance companies do not pay claim amount easily, hence nominees are to suffer a lot due to it. There are many private insurance companies with +90% claim settlement ratio. What is the claim settlement ratio of ICICI Pru and HDFC Standard Life for their Term Insurance Plans. can you have the courage post the claim settelment ratio of all companies during past 10 years here? Plz recall your objective why you opted the same policy. Thank’s for your nice article, working as an EYE-OPENER. As you mentioned earlier could you please explain about Jeevan Amulya . I would like to buy a Insurance policy for 10 lakhs SumAssured. my dob is 2-8-1978. You can’t take this policy as in this policy minimum sum assured is Rs 25 lakh – you can check Anmol Jeevan. I want to put some money in some plan which should get my just born grand daughter about 20 lakh for her marriage after 20 years. Since I am 74 years old Iwould like to make one time payment. I shall be greatfull if I am advised of any such plan and also some idea about the premium that I will have to pay. Any advice in this connection will be highly appreciated. Thanks and regards. which is the best child plan? I think you have not understood the article – I will request you to read it once again. Pls write one post of all these traditional plan return like jeevan anand, jeevan saathi, komal jeevan ,Bima gold etc. so more & more people become aware. Most of the people don’t know how to calculate all these return in traditional endowment policy. This is the eye opener post .Thanks again. I have forwarded your article to many friends and they too are shocked by the returns. People trust a lot LIC but once they come to know that their favourite company gives such a dismal return and they they start lamenting on in. Thanks for sharing this with your friends. I suggest you to read Moneylife article that is linked from the above post. Insurance itself has its own objective. It covers your financial need for your family in the absense of the breadwinner of the family. If you expact Returns, than you have to divert your investment tool to the suitable product available in market. If you compare LIC returnes with market than try to compare the same with Bank FDs also. 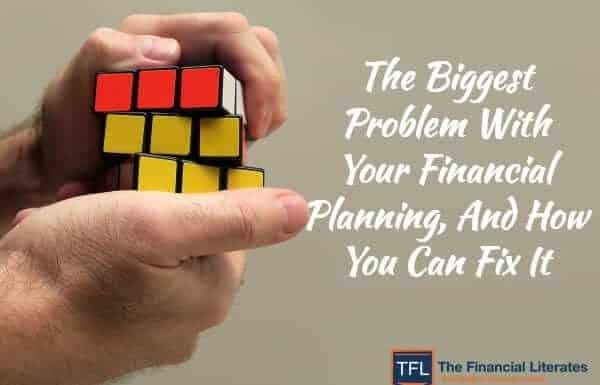 Solution for this matter is, that change your view and plan according to your financial goal for the future. Plan the same in 2 situations 1) if you are there to enjoy all the returnes & benefits of your past investments and 2) your family should sustain atleast the same life style in your absence. Jeevan Anand is a Complex Product & you can’t expect more than 4% returns – I am not considering the Insurance benefit. 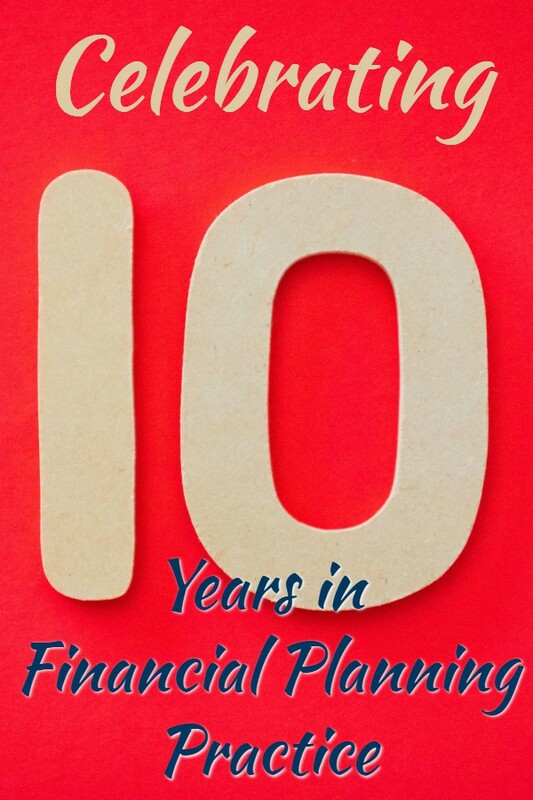 It is very nice to see such a valuable information/clarifications for all financial queries.. I have below 3 LICs Policies. My DOB is 19th Sep 1983. Sum assured of all 3 policies is equal to 15lack for which I am paying of Rs. 75000/- p.a. but I am getting sum assured value is only Rs 15lacks which is very low when compared with my premium of 75000/-. As per your suggestion if I take a term policy of Rs 25lacks maximum I can pay approx premium of Rs 10000/- p.a as per my current age 28 and rest of the amount 65000(75000-10000) can be invest in other areas like mutual funds, PPFs, NSCs etc. then I may get more return than what I may get on these 3 insurances. Pls suggest on this. Also suggest how to come out of these 3 LICs without paying further premiums and not losing the paid premiums as of now? Is it good if I surrender these policies or is there any other option to get max amount of my paid fund? It will tough to give exact figures as in traditional products “BONUS” are the best kept secret but you should not expect more than 6% in any of these policies. Thank You very much Hemanth Ji..Can you Please also confirm that is there any other restrictions/conditions to upgrade the PAID-UP? Thanks Hemantji, This eye opener for me. Hi Sanjay must share it with your friends. I too got the same policies as Mr Kamati got. So Could you please give Details about the same I am looking forward for your Kind Article on this Issues. I have replied to your query. LIC is BIG cheater in insurance industry sucking money out of poor investors and showing carrot of nice money which is totally false. gob bless you all good bloggers! Thanks Raju & you rightly mentioned that exiting these policies is very painful as surrender values in traditional plans are too low in comparison to premiums paid. Let us get in to details of ‘Jeevan Ankur’. In this plan, life of the parent will be insured to cover the risk in favor of a named child (nominee). The policy term depends on the child’s age at maturity, which can be a max of 25 years provided the parent buys this policy as soon as the kid is born! Since the policy will be in the name of the parent, there won’t be any death benefit if the nominee (child) expires except that the policy can be continued in other kid’s name if there is one. On death of the life insured parent during the policy term, basic sum assured shall be payable to the nominee by LIC. Also, an income benefit equal to 10% of sum assured will be payable on each policy anniversary, from the policy anniversary coinciding with or next following the date of death, till the end of the policy term. Another good thing about this policy is that there are riders to top up the insurance. The plan provides accident benefit rider and critical illness rider, of course these riders come with some special clauses which I am not going to mention here. Feel free to read up the sales brochure on official website of LIC for more details. Also, you may want to refer to the ‘benefit illustration‘ on their site for a reasonable understanding of how this plan works. Since they have illustrated various scenarios so well with an example, I don’t want to repeat it all over here. Instead, I will do a better illustration to make you understand how pathetic the plan is in terms of benefits it offers when compared with that of ‘Term Insurance‘ (pure life cover) products by LIC. The numbers shown above are obtained from the official premium calculator provided on the LIC website. There will be advantages and disadvantages of each product when compared against one another. There wont be any benefit upon survival in case of term insurance policies. Similarly, you may not have any riders on some of the mentioned plans above. But the insurance is supposed to be for handing risk incase of unfortunate scenarios and not to be used as an instrument for investment. I would still go with the thumb rule of not to combine investment with insurance, which is fundamentally wrong in my view. Separate out investment and insurance for reaping the best benefits out of every rupee you have earned. Thanks for sharing this & I appreciate that you have clarity regarding “not mixing insurance with investment”. Its really an eye opener. Great Work!! In face I was planning to buy this policy for my baby. Kindly suggest me some other alternate to this plan which can meet my expectations. I too have 3 LIC policies since 2002. Paying premium rupees 42K p.a. for sum assured 8 Lac rupees only. Considering the current inflation rate and the SA, it doesn’t make any sense to continue these policies for another 12 years. I’m planning to take term insurance and surrender these 3 LIC policies. I have the same question as asked by Kamati above. How to come out of these 3 LICs without paying further premiums and not losing the paid premiums as of now? You can check my reply to Kamati & also check the link that I have shared there. He is not wrong but tell him that even bank FDs will double your money in less than 8 years & quadruple(4 times) in 15 years. Thanks for giving good information Being an LIC agent I dont have proper knowledge regarding Endowment and Term Policies. Infact No Development Officer in LIC refer it to get the Business by Term Insurance may be it gives much risk to Corporation. By getting all this Information here, i feel that I got a mentor in financial Market. Once again Thanks for sharing valuable Information with us. Can you pls let us know about returns of Jeean Saral ATM plan because LIC agents are telling it very beneficial and award winning plan. Winning a award is not a good reason to buy any product – product should be able to meet your specific requirement or become part of overall planning. And you know this days awards can be purchased – check filmfare or zee cine awards. Financial industry is not at all different – read my reply to Dhawal Sharma. I started Jeevan Anand 6 years back for 16 yars policy term and paying annually 25,655 for SI of merely 3,60,000. Is it worth continuing this policy? What should i do if i don’t want to continue it, withdraw or stop paying premiums? continue all policies of lic..LIC is not private company…it wont work only for profits..it has more than 56 years experiance.no policy has shown negative results so far..we can also save tax…insurance shouldnt be considerd as investment..jeevan ankur has very good benefits espacially risk benefits..my family and friends had very bad experiance with private insurance comp wrong selling.. This article is not about LIC vs private insurance companies – this is about Insurance Vs Investment. Thank you very much for your great effort. Its really an eye opener article. I am 23 yrs old Engineering graduate. pls give your valuable comments on HDFC Crest. I am investing in it from last year(highest NAV of 7 years). AND some lump some in GS Gold ETF, Bank Bees,DSPBR top 100,HDFC equity. Other things in your portfolio looks ok.
Maine upar saaf shabdon main likha hai ki ye ek accha plan nahin hai aur meri salah aapko yehi hogi ki koi bhi child plan na khariden. jeevan shree has given very good bonus,more than what was said..my brother has jeevan shree policy ,when i inqrd they said more than 18 lak(for 5 lak j.shree).having seen these returns my friend revived his j.shree policy by paying late fee..so dnt worry..
Jeeva Shree 1 was a decent policy with some guaranteed returns but most of these policies have very low returns. Check moneylife link in above post. I have LIC Jeevan Saral policy from 2008,LIC Jeevan mitra policy from 2004,LIC Money back policy from 2009.I want to ask you that can i surrender all these pollices? And tell me about Reliance Cash Flow plan.. I think you have not understood the overall theme of the article – I will suggest you not to buy any investment linked policy for child future or any other goals. Don’t mix insurance with investments. Have you ever gone through the maturity values given by LIC in previous policies. It was always higher than the bank interests and free life insurance cover that they give is an added attraction which bankers never give. Also tax benefits and that too the bankers never give. Then how can you criticize this product. I AM NOT AT ALL AGREEING WITH THIS ARTICLE. I am sure LIC will give minimum 8% returns in this product as I am too in the financial and investment field from the last more than 25 years. This is a news for me “It was always higher than the bank interests”. As you said you are in finance field from last 25 years – I will suggest you to take some data from your clients, premiums they have paid, maturity they got, tenure & what’s was their tax slab. Share those details here – I will do the calculation & it will be helpful for everyone. Secondly on taxation point – if we consider that DTC will be applied on retrospective basis – people are going to get rude shocks on such policies. Thank you sir, for making me understand why Jeevan Ankur is not a viable option of investment. Sir, i am planning to invest Rs. 10,000 p.a for my child security for provide me certain good investment plan. Whether it would be Equity, Mutual Fund, LIC, Government Bond. Good to hear that this article helped you in someway. I presume that your child is still small – diversified equity mutual funds will certainly be a right choice but you should check your risk profile & asset allocation before that. If time permits to you then my request to you is to write an article on the Bajaj allianz 200 percent guaranteed plan which is lot of boom these days. Is it genuine or there are some hidden things in it as it is in other policies? Is it better than any other govt. debt instruments or PPF in any way? There are more than 20 life insurance companies in India & on an average they launch 4-5 new products every year. Analyising every policy in next to impossible. Secondly when we know one should not mix insurance with investment then it doesn’t make much sense to analyse these policies. Thank you so much for your article. I was just called my agent for this plan, but now i’m rethinking on it. I have already started putting my money in Jivan Anand. Please write on that too. If we don’t consider insurance part in Jeevan Anand – your returns shall be between 4-5%. Can you suggest me which LIC policy I will invest. Please don’t mix investment & insurance. Its really eye opener article. I was about to invest in Ankur. Now kindly suggest me the best place to invest. I want to take child insurance for my 2 yr daughter for the period of 15-20 yrs. I prefer single term payment ~100,000. Insurance in name of child does not make any sense – you should buy a term plan for yourself. For investment purpose you can invest in PPF, Bank FD, Mutual Funds etc depending on your risk profile. thanks hemant, im planing to invest in jeevan ankur. u save my money. i need ur more help. i invest in icici pinacle plane. recently i pay rs 50,000, yearly (3rd) instalment. but all my friends told me that this is ulip plan n u dont get proper returns. so pls give me the advice. Normally taking financial advice from friends is very dangerous but in ulip case they are very right. This is highest NAV guaranteed product & mis-sold as highest return guaranteed. My suggestion is you should sit with some financial advisor & ask that does this make any sense in your overall portfolio. It was an eye opener.Would you suggest me about lic health protection plus 902 policy also my son is of age 12,what whould be my investment strategy for his education if I live & if Idie in both situation,if it is more than one policy it is accepted. I have not checked lic health protection plus 902 policy but as this comes from a life insurance company again it will have some investment related component. I will suggest you to take pure health insurance product from a general insurance company. Regarding your second question – you can search article regarding “Child future plan” on TFL. One of my LIC agent friend called up and told me to take this plan for my daughter (She is 3 years old) for maximum term (Which is 25 – current age). And for this 22 year term, i will be required to pay somewhere around Rs 5000 for 1 lakh SUM ASSURED. I have not noticed it earlier but now i must say – a CHILD plan for a KID till he/she turns 25 is RIDICULOUS. By the age of 25, that kid will not be a CHILD anymore. Even in our times, i started earning at the age of 23 and started contributing my bit towards the family budget. How will this plan be of help to someone in the same age group is a puzzle to me. thanks for valuable information, i just going to buy this policy, now i cancel my plan. My son is 1.6 year old and i am 37 year old, can you give any best policy name that i can secure my child future exp.regarding study etc. Think beyond insurance policies for investment purpose. please suggest me good policy or any other scheme for my new born girl baby child. I want to full secure about her education and marriage upto 24 years. i can invest Rs 20000/- per year. I don’t any good policy that can help you achieving this goal. There are n number of investment products – start thinking beyond insurance policies. Thanx for ur reply.pls guide me on this regard, what should I do now with my HDFC Crest? I will suggest you to do you own research – it will help you in long term. At this age you should not go for any loan so constructing house with some of your savings is still a better option. 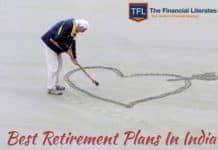 I would also like to add that don’t be 100% dependent on your pension – must keep some savings that can be used in later part of the retirement. Thanks for the article Hemant. It was an eye opener…I was planning to take to take this plan for my kid’s wellness and was giving serious thought for quite sometime. Now, need to look an alternatives which can be safe guard for my son. Will definitely share this article to my friends circle. Completely withdrew myself from the idea of taking this plan. I am feeling 🙂 as this article helped you in thinking rationally for your son. Keep visiting & sharing your views on TFL. Sir, It is good article on jeevan ankur but not on all endowment policies. It is correct insurance and investment or both different concepts, taking a term policy and investing in PPF,FD,FMP….good but what about income tax? earned additional amount we loose to govt.Jevan ankur,Jeevan saral,Jeevan tarang,Jeevan anand……it is like a super market for all needs. Investment,risk,tax savings…..I think Bajaj invest gain gold is better than jeevan ankur. I don’t want to argue on this but I have already explained that investing through insurance is not a great idea. End of the day its your financial life & you have to take the decision. Abhi bhi der nahin hui hai har insurnce policy main 15 din ka free look period hota hai jismain aap policy ko wapis lauta sakte hain bina kisi nuksaan ke. Aapke agent se baat karen ki mera lic jeevan ankur lene ka nirnay galat tha. I have read all the above comments and as you said that insurance is not a investing tool…likewise all the investment options are not a Life Insurance tool. The other investments tools like MF, PPF, NSC etc gives you better returns than LIC but NO LIFE INSURANCE at all. Where as LIC gives you INSURANCE+RETURNS. LIC stand by one’s family when they really need in the absence of the Breadwinner. Which investment tool from MF, PPF or NSC does this???? NONE. You will get only what you have invested so far and LIC gives you more than what you have invested. There are so many people who do not want to take term policies as there are no returns. People who understand the value of their own lives, they take term policies. The traditional plans are not 100% Insurance Plans but people who do not want to take risk in MF etc can go for it and get some good returns. According to me the investment and insurance are two different segments. People need to spread their investments in all the segments available to them with experts advice. Lovely article by you. I think one by one we all should target every single endowment product available in the market. And only CFP can do it…. Just wanted to share an incident…. I have just started my Financial Planning firm and it was during my initial days when i got a referal (from one of my client) of a LIC BDO (business development officer). He asked me abt Financial Planning concept and about few products of LIC like Jeevan Ankur, Jeevan Saral. I showed him the reality and told him that these are not good investment products. Instead you can keep your money in saving a/c. He said still these products are successful in in market and ppl are buying it. And when I told him that it is just because public is illiterate abt financial products and agents are taking benefit of it. He was so angry that he told me that you CFP’s cannot stop the selling of these products and told me to get out. I thought it was wrong move from my side that i was criticising LIC products with an employee of LIC, but at the same time i was happy that its just the beginning for CFP’s. There is lot more to come. I think you should feel happy about the incident – if client is not interest in his financial life, why you should waste your time. Its good that he said NO at your initial meeting else you have wasted your precious time. You are doing a noble work & someday people will realize that. Keep in touch. What about death benefit Jeevan Ankur giving to the child and which would benficial for a child who dont have a bread and butter earner to his life. For that one can buy a term plan – which is available at very low premium. Term plan is not everyone’s cup of tea. Low income people can’t buy term plan if they get some term plan type return if there is any would be casuality otherwise they will enjoy atleast premium return with some interest as you said may be 1.53% to 5%.Think in this way also, u can criticize any person place thing and product no doubt, but u should see other part of the same. Term plan is product of rich persons the people who can invest to forget even big amount, not for the poors. I have already shared my views so its for readers to decide things depending on their individual situation. 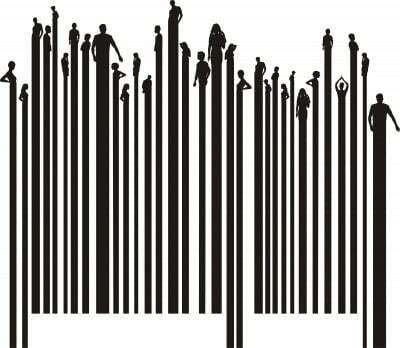 Buy I don’t agree with “Term plan is product of rich persons” – I think it is other way round. Just a hypothetical calculation for you. You buy a endowment plan for Rs.100, you get 4%-5% as return with some life cover. Else, you pay Rs.5 for same amount of life cover through Term plan, and invest Rs.95 in PPF, considering you are risk averse, and need 80C & 10(10)D benefits, you get 8.5% on Rs.95. Which one you think is better? I think you have not read the article – “child policies” are just an emotional way to sell expensive insurance policies. Can you suggest an investment plan which will give my son guaranteed Rs. 10 lacs after 15 years.. whether I am there or not. Your question is incomplete – how much you would like to invest?? You tell me how much I need to invest and in which product. I want protection of my capital. The article is talking about debt return… I am not concern whether it is debt return or equity return. what I am concern is that My son should get Rs. 10 lacs after 15 years… whether I am there or not. I cannot invest lumsum, I cannot take risk of my investment … Please suggest. Rs 10 lakh after 15 years will be equal to 2-3 lakh if we consider inflation – are you not concerned about the inflation. I can understand the point you are trying to prove. Buy a 10 lac term plan and consider PPF…just back calculate how much u need to invest. 1st Scenario… I and my son survive for next 15 years and thereafter – From PPF (Rs. 35K p.a.) & Term Plan Rs. 10 Lacs (Rs. 3K p.a.) – I will get Rs. 10 lacs (Assuming PPF return will be continue @ 8.70% p.a. for next 15 years – which is not guaranteed). 2nd Scenario… I died in next years – From PPF (Rs. 35K p.a.) & Term Plan Rs. 10 Lacs (Rs. 3K p.a.) – I will get Rs. 10 lacs Immediately plus amount invested in PPF along with interest. But question comes… whether that Rs. 10 lacs will be available to my Son after 15 years? With LIC – I may pay Rs. 43K p.a. but get Guarantee whether I am there or not My son will get Rs. 10L. I think additional Rs. 5K p.a. is not bad investment. 1st scenario: PPF+Term looks better. 2nd scenario: Please assign the 10 lac term to you child and do a will as part of your legacy planning. If mishap happens next year, that 10 lac will be put in FD and will grow to roughly 40 lac in 15 years! Put the additional 5k in another term plan, try HDFC click 2 protect, you will get roughly 25-30 lac cover for that premium depending upon your age. as per your will it will be put in a FD with monthly/annual interest payout. for 25 lac FD @ 8% would give 2 lac per year, presently 10 year FD rate is 9.50%! Tax should not be much of a problem, as taxable person is already dead. Now how would it be? The author has forgotten to take into account “with profits” feature in most endowments plan. LIC has been consistently giving bonuses equal to the premium amount for most endowment plans. So roughly most endowments plans can give you 2.5 times your total investemnt over a period of 25 years. You can argue that bonuses may drop, but then so will returns from market linked investments in the same period. I haven’t seen much difference between endowment plans and market linked instruments like ULIP or systemic MFs. Even your figures are talking about return of 6% – which I have already mentioned in the article. 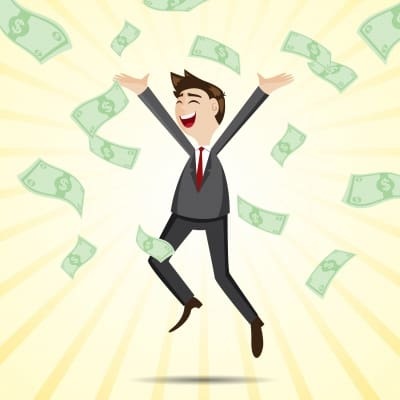 I will suggest you to read Money Mantra’s article that is linked in the above post. Please tell me what child plan would be best. I am a single mother, My age is 35 Years and my Son is 4.5 years old. I want to buy a good plan for him, and pls guide me where i can invest for his future.. I can save 10,000/- p.m. for him. Think beyond Child Plans or Insurance Policies for investment. Naming a product “Child Plan” or “Pension/Retirement Plan” does not mean that it guarantees that these goals will be achieved through these policies. Greetings.. even i am not interested in these insurance policies.. other than this where i can invest for my son (who is 4+ and i am 35) for long term goals.. looking for your advice..
U can take a term plan and then can invest in MF,PPF,for longterm basis. Yesterday, one LIC agent (family friend) has visited our house, explaining the importance of Jeevan Ankur plan. We listened him with half-heartedly. But, he has shown amazing results. My younger brother is 30 years and he has 1 year old son. The premium (including accident death benefit rider) for a sum assured of 5 lakh rupees works out to little less than 16,000/- for 24 years term. He has shown the calculations in excel sheet, which is working out to 5.9% pa (compound interest) as returns. This is almost equal to bank FD amount for 24 years. What I understood is even with no death and maturity, the plan is giving a genuine benefit equal to FD. With death of life, the returns are huge (beating all MFs, term plans etc). Request you all please check the above calculations and pl. let me know where is the cache point? Are the calculations wrong or some hidden thing is lying. If you thin his EXCEL calculations are right & TRUE – go ahead. Thank you for your suggestion. Last week, we took the policy. In place of 300000 there will be rupees 150000.00 or rupees 200000 again calculate with this figure.other than this everything is correct. I wrote you a comment about lic jeewan ankur and asked you for some suggestions before,further in this regard I would like to say that Jeewan Ankur is providing an insurance of about 12.5lacs for a person like me at an age 42 with returns if nothing happens.The annual premium is of Rs 35000 approx.The fact is for having same insurance with out no return I have to pay nearly half the sum,if we calculate for 20 years we have a loss of rupees 3lacs approx,which is not in the case of JEEWAN ANKUR. 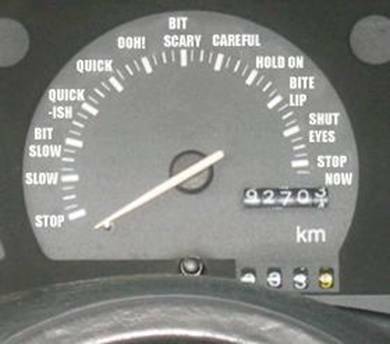 If you have done the calculation & you feel its good for you – go ahead. Just request to do the last calculation – what will happen if you invest half of the amount(after paying for term plan) at even 6%. Mr.Hemant, kindly tell me what is wrong in this policy. Rs. 16,475 to maintain this policy. take his life further with ease. Your child deserves the best !! I have already explained this product & why I am against mixing insurance with investment – if you are convinced with the product, Go Ahead. Just would like to add, as you said “Your child deserves the best ! !” – its not the best solution. Suggest you to read moneylife’s article which is linked in the post. I will suggest you to read this. If you still don’t understand what I want to say – I really do not have any explanation to your comment. Get a Term plan for the life cover your endowment plan was giving. Put rest of the money in MF, PPF, NSC etc as you have mentioned. Your total returns will be better than endowment for same term. Do u mean If i invest 91000 totally across 10 years.I will get only 100000 after 10yrs i.e on maturity? or u are saying 91000+100000? Whether it is todays value of 2-3 lacs or 5 lacs … I thinks it has some value that is more important and that is guaranteed at least. … Suggest some product please.. If you know else i need to stop the discussion on this. You are asking for a short term solution for your long term problem. I have nothing to advice in this case…..
NO Hemant… I am asking long term Guaranteed Solution. and you know what I am asking you… but not want to show to reader that only Life Insurance can give Guaranteed Return after long term. I think you are convinced with insurance as investment – go ahead. Hope you have sufficient money to buy endowment plans that help you to achieve all your financial goals if you survive & also provide you sufficient insurance cover that will support your family in case of some mishap. I do not see Insurnace is only Investment Product. But our investment portfolio should be consist of mix of debt, equity, real estate & gold. Equity has its own advantage… but we should not forget the advantages of debt investment also. And I feel LIC is very good in managing the Debt Fund than any other company. Further I am getting some sort of Gurantee of my Return with protection. I want to thank you very much for this article, as my eye opened. I had planned to take this policy just last week for my 10 months old baby. I have heared that this is a very good policy in case of parents future death. But its good to take a term plan than this. Thanks…. i’ll certainly follow more articles for this type of info in future. Thanks Janak – must share this article with your friends, who are at similar stage of life. Imagine you died in next month.. and your wife received Rs. 1 crore from your term plan…. there may be the possibility that your wife kept aside Rs. 20 lacs (or amount you decided) for your baby’s future education. But there is also possibliites that She spend all the amounts or she may not be competent to manage funds. Term Plan is good choice but for immediate finance need. No one can predict what will be the situation after 15-18 years. But with Jeevan Ankur at least that guarantee is there. Do you know how much Janak has paid for his Term plan? Do you know if he pays the same amount in Jevan Ankur, how much life cover will he get? And what will be the value of that life cover post inflation 15-18 years down the line if any mishap happens? Will the sum be sufficient enough for all financial needs of his family? I can assure you the sum will be too little to be of any use. And if the parent lives, then the survival benefits will also be of little use after inflation. These plans can’t provide sufficient cover, neither can provide decent returns, at least close to inflation rates. If Rs.20 lac from a term plan is put in simple FDs, it will become 80 lac in 15-18 years. And somehow I feel your comment about the mother disturbing…as if you are suggesting that though the father is responsible enough to take one crore term insurance, mother will be irresponsible enough to spend all the money away. She doesn’t need to be an investment wizard also…simple FDs will do. And one should discuss money matters at home to keep family members updated, so that they don’t face any problem in case of mishap. Its part of the financial planning. Rs. 20 lacs Term Plan will cost Rs. 6K p.a. On Death Immediate Rs. 20 lacs to Family. No Death… Expense of Rs. 102,000/- without return. Rs. 10 Lacs Jeevan Ankur will cost Rs. 47K p.a. No Death… Investment of Rs. 8 Lacs and Return Rs. 15.2 Lacs. Janak.. You can make your own decision. I can understand your point of concern and appreciate it. You can try 20 lac Term plan through online application like HDFC’s, it will cost you roughly 4k instead of 6k p.a. In fact you will get 30 lac cover at 6k. HDFC is a decent company with consistent claim settlement ratio above 95%. However, I am taking the cost of Term plan as 6k only as u suggested, in fact making it 9k for 30 lac Term, and looking into the planning in a different manner. You pay 9k for 30 lac Term, and invest 38k in PPF, safe, tax free, everything that LIC offers. Now look at the death benefits as that is your main concern. First make a will as part of your legacy planning. If mishap happens next year, as per your will 30 lac will be put in plain & simple FDs, 10 lac in compounding interest will grow to roughly 40 lac in 15 years. Rest of the 20 lac will be in monthly or annual interest payout FD @8% will give Rs.160,000 p.a. (present rate is 9.50 for 10 years FD). Principal of 20 lac will be additional money along with the 40 lac from compounding FD after 15 years. So, 60 lac+(160000*15)=84 lac+return from the PPF (whatever was invested). Tax payer is dead already, so not much of a problem with tax. Thanks Before reqding your article I was set my mind to purchase it but now my eyes are open, Thanks once again. I like to request you to kindly suggest me a good child plan for my new born child for long term view. I will suggest you to read my 10 replies above your comment – you will get the answer. Pl. advise for Aegon Religare I-Term plan. My age in 36 & having depending 3 person. wife 35, son 11 & daughter infant. You can check HDFC & Kotak term plans. Still not get my answer. pl. comment only for Aegon Religare if possbile or say no comment for Aegon. as this is chepe quate. & may be renbaxi group. After your input, finally i will purchase Term Plan with Aegon i-term plan @7750 for 63,500 Lacs. Should I buy Jeevan Ankur?I am 35 years old I have child 11 month . Have you gone through whole article. Thanks for nice article . i was confused with this Plan . can you suggess me any good plan for Child insurence. You need insurance not your child – understand this. Very Good article on such valuable financial queries. Recently in the month of 28th Dec-11 I have taken “Jeevan Chhaya” on name of my new born kid with SA Rs 5Lack for 21 years period and have already paid 1st premium of Rs 25502/- for that. I got to your site details from one of my colleague recently after the 1st premium paid and now I realized that I am in a wrong track since I am already having 2 other endowments policies(Jeevan Anand +Jeevan Saral) of Rs 5L each for 20 years period. As suggested by you it is not advisable travel in wrong track after you know that you are already in a wrong track. Now I am planning to paid up my 2 existing policies Jeevan Anand(will complete 5 yrs in next month premium) and Jeevan Saral(completed 3 yrs) instead of Surrendering. In addition to the same I am also decided not to pay further premiums for my recently taken Jeevan Chhaya Policy Too and planning to take a term plan for SA Rs 50L. Now is there any option to get any partial amount from 1st Premium amount of Rs 25502/-? If yes then Please help with expert advice on the same. Making paid up is a wise decision. Regarding Jeevan Chhaya – there is no way of of getting full or even partial payment without paying 3 premiums. This is a very big problem with endowment plans – but if we look at time value of money loosing first premium is not a bad choice. I was searching for jeevan ankur and came across this article. I am 40 have been treated for schrizophrenia and depression. I spoke to quite a few people for term insurance but could not find any. None of them cover risks due to mental illness. Can you help? Sorry to share but you cannot get term plans due to illness mentioned by you. I am a 34 yrs old father of a 1.5 yrs old child. Which policy of LIC is the best for me/my child, in terms of return and death benefit? You may, if you please, inform me about the policies of other, including non-government, corporations. Awaiting your reply …………. You should buy a term plan asap – LIC or any other company is your choice. Iam 28 yrs with two Kids of baby Girl of 5yrs and baby boy of 6 months… can u suggest me any of the policy which give benefit to my child’s and for their future, like education and in terms of medical as well..
but the question is whether LIC is sensitive enough about providing right product to their buyers ? Thanks Muraleekrishnan – must share it with your friends. I had invested Rs. 12 Lakh In Aviva Life Insurance . After 4 years i have got Rs. 9 Lakh. These Companies are looting the hardearned money . So please donot for any investment or any Investment plan. Just get Health Insurance and term insurance if reqd. Otherwise pur your money in FD, PPFEtc. Donot give your money to these money eating machines. This is a nice article and an eye opener for people who mix insurance with investment. To me life insurance industry is full of complexities and it draws more crowd who mix it with investment. True that LIC has deep pockets and it makes sure that the promotion it does through various channels is biased towards it. You can not make someone understand something if his salary depends on his not understanding it. 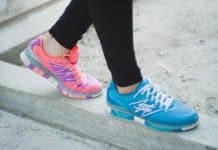 Personally speaking, if you think that your family will be in financial trouble if you turn toes sooner then expected, then you should by the cheapest term insurance and channelize the balance amount you save on premium you pay towards an endowment plan on something more lucrative and beneficial. I agree with almost complete thing other than this statement “channelize the balance amount you save on premium you pay towards an endowment plan on something more lucrative and beneficial.” There are n numbers of other investment options which are much better than endowment plans. I appreciate your thought process & simplicity. Thank you for the response on what I wrote. I wish to make a small correction on my statement “channelize the balance amount you save on premium….. lucrative and beneficial.” All I like to gesticulate at are people who make investments watching emotionally charged ads and glib talkers neatly dressed salesmen who want you to park your hard earned money with them. Such investors should weigh pro and cons by having access to an informative platform such as this where distorted truth can be separated from fiction and help them find better profitable investment alternatives. I hope others will also understand this before its too late. Hi….really you have a great job………..can you please suggest me any child plans…..
pls tell me jeevan saral is a good policy or not in case of return. i m paying rs. 2400 per quarter. can i surrender it.. if so how much i will get after 2 years of starting the plan..
Nice to talk to you, I have an amount of 50,000 . I want to save that money to my child(6 months old) to her future. Please give me any suggestion. Is it better to buy any policy or else any FD. Can you please throw some light on SBI Life Highest NAV guarantee scheme? There is 15 days freelook period given by insurance companies – talk to your agent. I have been paid froChild plan SA 300000, Premimum: 18000 yly in LICI and have term plan of Rs 5 lac only. Please suggest me about my financial planing. My self 36 years service holder. I have a child of 5 years. I have a baby girl of 3 months. I would like to know the best Insurance and/or Investment for her (Rs.10000/- per year). I must say that you have done and excellent analysis for the LIC policy. Just wanted to check with you if your analysis of IRR of 1.53% were to include the insurance benefit (say presuming the death of the insured in the midde of the policy term), what woud the IRR be in that case. Also, I am looking for a policy for my 1 year old son which should have a mix of returns, life cover and good maturity sum. Request if you can suggest some of the alternatives for me to invest. I have considered this thing in table – check that again. Kindly let me know if there is any one time investment in LIC of india. and also the minimum amt to be deposited. I am aged 40, parent of two kids. I have a money back policy which I joined when I was 28 years (1999) for sum assured 1 lakh (LIC). The polcy was Jeevan Surabhi. Later my wife took two polcies Jeevan Anand and Jeevan Bharati from LIC and she is now 35. My daughter has a policy Money Back Children’s Policy started in 2001 from LIC. Apart from these two kids have HDFC Standard Life insurance policies (these both expire by 2016). I would like to take a term insurance policy for myself and which would be the ideal policy for my kids ages 5 and 11. Honestly speaking all the polcies have been taken through agents either friends or relatives. Kindly advise me which term policy would be ideal for me at age 40 and for my kids. IDBI incomsurance endowment policy agent has stepped in two days back and advising me to insure my kids. an lic agent told me in jeewan ankur policy benift is sum assured+bonus rate of lic including loality adition is about 60/- rs. per thousand so tell me it is right or wrong. give me suggetion. Thanks Hemant, You have opened my eyes. I had been told by agent that this Jivan Ankur is like an RD account for 10Years with free insurance. He told that he will propose for 16 yrs. and can be break up any time after 10 yrs. The premium @ 24K per annm will be almost double. My wife was insisting to get this for my kids. I feel this is like emotional warping on treditional ENDOw plan. Please suggest the plan to protect / cover my 15L home loan. Go for term plan – approx 10 times of your income. Very good article. My husband was thinking of the policy :-). Could you please suggest a good plan? CAN U please suggest me good health insurance policy? or mediclaim policy ? i m not a rich man but i want save money for my future . please tell me better option for saving. Wonderful analysis! I could just have gone for it! Would prefer a term plan now. Keep the good work going. best wishes. what is your opinion about LIC Komal jeevan. im a medical prof’nal n i’m n’t aware of all these policies. now i’m pregnant wth twin baby girls(8th month).I wud like 2 plan for my babies. can u plz suggest. i’m working wth indian army. my self girish solanki ,32 yr old. I have one daughter 2.3 yr old and i am searching for good child plan for her. So my kindly request to you for suggesting attrective child plan. How to find the Mortality charges for this policy. I didn’t find out this anywhere in document / web. Oh man..I just missed to google before taking the policy..One of my relative, who’s an LIC agent, insisted me for this policy and just around 20 days back i took this policy for 2L and paid the first year premium too..What a fool i am? Is there anyway that i can cancel this and go for an additional cover to my existing term insurance ? please suggest..
A Very Good Article. This inspired me to “paid off” my all LIC polices & divert these money to term plan & SIP, but I want your oppinion first. Please suggest is it right decision? I want to get a term plan of 50lakhs. when LIC online term plan is coming in the market? can u plz. analyse postal life insurance policy? a lot of thanks for all your great articles. now i am worrying whether my nominee will get the claim or not. i will not be there to see. please suggest which insurance co is reliable. now days every insurance co’s are offering term plan at cheaper rate. term plan lene se chinta dur hog aur chinta dur hog to umar badaga. marne ke baad claim mile na mile kya fark parta hai. I am interested in buying a term plan from long ago. But one big problem that comes in my way is having my less vision in my one eye (to the extent that it can only recognize hand fingers from one metre distance). My other eye is having perfect vision. Even govt. also does not consider me a disable person. I am not eligible to apply in physically challenged for govt. jobs. In this condition, is there is any insurance company that will allow me to have term plan. Even if they will charge more, I am even ready to pay that. Sorry to hear about your eye – but one can have term plan even one of eye is having no vision. I think till date you have not approached any company – there is a good possibility that you have to just pay normal premiums. Very encouraging answer for me. Really, until now, I have dropped the hope of getting term plan because of my this condition. Even i never approached any insurance company. You will not believe, i am not having any life insurance plan at the age of 34yrs, because of uncertainty of disclosing my this condition. I am a first class officer in Govt of India. I had been thinking that if i don’t disclose about my eye condition, that will be a fault on my part, and the insurance company can take advantage of that in not-paying of risk cover. And if go with my real condition, i was doubtful that if any insurance company will give its consent to me to go for insurance. Your this site is very-very-very-very helpful. b) Secure my Child education and future needs..
My daughter’s age is 2 years..
im also waiting for your reply.. It is really nice to get crores of rupees worth knowledge about Insurance. Every year in The name of Insurance and Investment Number of Innocent people loose their Hard earned Money. The main cause for this is not having proper knowledge. Every one has their own opinion of everything. Many of our Blog visitors have different opinions of Insurance but One thing is Clear Our Blog Opens 75% peoples eyes and clear their doubts about insurace. 1. I feel you have created a strange bias against the product by stating example of only the 10 year tenure. Why have you not considered 25 year tenure as well? I believe more than 70% of people buying / selling LIC policy know that ALL LIC plans are better off if taken for a tenure of 20 years and above. 2. Yes, the calculation you have shown for the 10 year term is correct, but if some one wishes to do it for 10 years term, just go for PPF. But, if you have 25 years on offer, Ankur is a worthy option, where it will give 6%+. I also agree that Ankur will give lower returns than other LIC endowment plans, but again, calculating the probability of survival over 25 years is not easy. If you are certain to survive, do not buy policies! Ankur is NOT an investment plan, that you compare it with FDs and MFs. Its not even a regular endowment plan. It is a child protection plan. The income benefit does not have an alternative in other financial instruments. 3. I also know, that you would ask, why not buy a term plan. Lets look at the scene where, the only earning member dies and his family gets term plan claim amount immediately. Who would guarantee that his housewife is smart enough to generate annual benefit (compared to income benefit) from the claim amount for next 24 years? 4. You have also said many times, as to why would anyone invest in ANY endowment category plan. Because they deliver 5% odd. Fact is, most LIC endowment plans for 25 yrs for a person aged 30, give yield of 8% as per current rates. Check again for yourself. 5. I am sure you would argue that its not guaranteed. Well, my question is, for 25 yr period, which product in INDIA has a guarantee?? PPF? No (annually declared rate). FD? No (25 yr FD not available). So is there ANY product?? I think you can not see through the fact that LIC endowment plans normally yield annually close to what PPF rates are. Check history. So if you feel endowment plan bonus rates will drop, PPF would definitely drop too. Request your comments on each point. Thanks in advance. The result of your motivation is that I just searched many term plans online- some with higher premiums, and found some with lower premium rates while others with too higher one, apart from contacting insurance companies’ customer care cell telephonically also. But one thing that left me in undecided state was about the promises committed by insurance companies. There are companies that can be relied upon more than others. Some companies settle the claim of customers relatively in a faster way. But other companies just denies on some intentionally-chosen basis. At this point I want to know, is it wise to go with a private company like Bharti AXA or Metlife or ICICI etc, that are offering same thing at relatively low cost or to choose LIC which is however charging more but providing more satisfaction. One thing which I probably can say that almost everyperson has more faith in LIC than in any other company. At this point now, I want to ask that is it wise to buy Term Plan of LIC at a much much higher rate. For example, the Aegon Religare is offering a term plan for a person aged 34yrs for a period of twenty years for risk cover of one crore at a premium rate of Rs. 7800/- to be paid annually, whereas LIC is offering same thing @37500/- to be paid annually. Other private players are also charging in the range of Rs. 7000/- to 12000/- for the above risk cover. Please guide which side to go? I have an amount of around 3 Lakhs in hand and want to invest. My age is 27 and my wife age is 26 and we have a new born child. When I have gone through some investment plans, most of them have included insurance and costing higher premiums. I am planning for life insurance cover in kotak eterm plan for around 40-50 lakhs for 30 yrs term. Apart from that, purely for investment purpose – where can I invest my money so that my money will be secure and get good returns. Hi Hemant, Can you please reply to my query mentioned above? While analyzing about LIC insurance policy , came to your site and from that day i have read your articles , its very useful to me and motivated me very very lot. Thank you very much. Recently LIC Agent approach me about Jeevan Anand Plan no.140 and he told me its 25 years policy , need to pay 16 years and after 16 years yearly we can get some amount till 25 years, after that till 99 years it will cover insurance. Actually i am 30yrs old and married recently. is it useful policy? After reading your articles plan to go for SIP Account in share market, I am new into this and i can invest upto 5K to 10k monthly. 1. Where i can open SIP Account? 2. Please list some good companies to invest? Thank you for your valuable reply for this query. Hemanth has suggested to buy a Term Plan and not LIC products. Please also ask him to advise the settlement rate of the pvt players. LIC has a settlement rate of 98 % which is double than that of the pvt guys. I agree the LIC policies give an annual return of about 6 to 7 %,. But if you time horizon is more than 25 rs they yeild goes upto 9 to 10% which is good enough. Also the risk cover is about 20 times of your annual payment. If anybody is planning for his retirment i believe this is the best place to be with. Nice article. I have one Jeevan Ankur and paid only 1 premium. After reading this, I have decided to discontinue the policy. Please advice how to do that. Should I exit right now or pay the premium for atleast 3 years and then continue without paying any premium and with reduced sum assured. IRR is a simple excel based formula. All you need to do is put all the values under one column. What you are paying as premium as negative value and what you are getting as positive value. At the end just type =IRR(A1:A11), this is when you have paid premium for 10 years and getting something in the 11th year. LIC is not a profit earning organisations.The money is by the people,for the people and always 4 the people. can you throw some light on Aviva Dhan vriddhi , Aviva Life saver Advantage and Aviva young scholar secure. What is Problem with you Guy’s. Consider this as a Term Plan with return of your Premium. Paln gives Cover Immediately Full Money Rs.30 Lakh, which will help immediate financial problems for Child & Mother. At end of Plan term It will again Give Full amount Rs.30 Lakh + Loyalty addition(if any). The fund for which Child’s Education/Marriage may be/was planed. You have not mention any where in your document. mujhe koi accha sa lic plan batao jisme death insurance ke sath aacha retun bi mile next 20year me…. I am very much sorry to tell you that I dont agree with your opinion. your basics are wrong. may be you dont have any idea about the insurance, its insurance not pure investment. it seems that all insurance policies except term insurance are to dupe our citizen. Could you please answer my below query’s. 1) Do you give the guarentee that if i invest in MF, i will get atleast the money i invested. (Note – if i take a jeevan ankur plan for my 2 year child i will get atleast the money i paid). 2) Will you suggest any term plan which gives my amount back if i’m alive till the maturity of plan. In the above you have commented that we are talking abt child plan and not grandchildren future planning. Yes you are right. If any LIC agent suggest to take Jeevan ankur policy for a 12 year child than it is a wrong option. Please note that “Jeevan Ankur” policy is best suitable for parents who have a child below the age of 5 years. More beneficial if they opt for 20 yrs – 25 yrs term. 1. If you are not comfortable with MF/PPF or Bonds, then invest in FD. Your principle is guaranteed and that too at a much higher rate of 8 % or above. 2. Why would I need my term plan money back? Is it not the exact opposite of what term plan is supposed to do. A term plan of 25 lakhs costs less than 5000 Rs per year. Can you provide a similar plan from LIC which provides both money back and growth of 8%? u always helped me Iam always SHUKERGUJAAR . we should redeem it or leave it as it is . Have you invested in SIP for 1 year?? This article is very good. Would like to read few more of this kind. Also give some advise on ICICI products because today have become a scrap goat to one of the ICICI product. Can you please suggest the best plan for my child’s education. he is now 2 years and I can spend Rs. 2000 pm. I need to assure for my child education in case I am not there and policy should not be lapsed. issurance company needs to take care of it. I can understand in this case returns will be less but my own life risk should not affect on my child’s future. I was planning to buy Jeevan Ankur. Now I am little scared to buy now after reading your article. The agent told me that I will get 22,00,000 at end of the term. Is this true ? Can I go ahead and buy this plan? Also, If Jeevan Ankur is not a good plan, please suggest good child plan in LIC? Well I am not an expert, I might be wrong and please correct me if I am wrong:) but after going through dozens of articles and blogs on financial planning I found that people are still not understanding the difference between insurance and investment. LIC means Life “insurance” corporation not life “investment” corporation. So you can not expect huge returns from insurance policy like Jeevan Ankur when the whole benefit your child will get when you are not with your child. Before taking this policy please spend some time and think what is your main goal here. Do u want to safe your child’s future in case something happens to you or do you want good returns on the money you invested for your child’s future. If your goal is later one then definitely this policy is not for you but if your goal is first one then this is one of the best policy to secure your child’s future. It all depends on your goal. My suggestion is if you want good returns then invest in MF/GOLD/equity/real state but please don’t expect good returns from insurance policy like this because you are not taking policy for making money, you are taking policy to secure your child’s future (in case of your death). I got it. Thank you very much for the detailed explanation. Still no one answered for my another question. The agent told me that I will get 22,00,000 at end of the term(after 18 years). Is this true ? Stupid and half baked comments… Why cannot I get a simple Term plan and invest the rest in MF? Will it not provide both investment as well as insurance? You want to sell an insurance to unsuspecting ppl and earn huge commission. STOP giving funda when you can’t justify your comments. hehe now I can say that your comment is full of stupidity. First be polite second as I have already said that i might be wrong and if you think so then correct me rather than giving such useless comment 🙂 🙂 Boss here the point is “does the LIC Jeevan Ankur policy is good or not for your child” and you are giving me funda of how to get insurance and investment both from the combination of MF and Term plan. 🙂 Let me tell you very frankly that I am not a LIC agent and I am very sure that I don’t get any commission from LIC :). Well you can think a case where your company does not approve your term claim(in case something happens to you) and you have only MF for your family which are also in loss then what will your child do ? I am again repeating that this policy is good only when something happens to you, in all other scenarios this policy is not worth at all.. I had invested initially on ULIPs. None of these has given me any return. Rather the amount invested in 6 years has gone down than my principle amount. I had invested on all those by reading magazines updates and reviews and the rosy pictures shown by those insurance cos. I realized, insurance is some thing that we do to protect our family from odds and if every things remains ok we get atleast a moderate appreciation. Its very difficult for people like us to evaluate market conditions and switch. At least we should have the peace in mind about our investment. I learned too much of greed is never healthy. You may even at the age of 55 realize, all your hard earned money gone for a toss. And that time you will not find any well wisher or financial pandits around. So please think twice. Dont only go by NPV /IRRs. Those are the jargons used by the corporates. Think simple act simple. Once again to remind that its your hard earned money. Good to sharing about this plan.. I am NRI and looking for the best LIC policy. i came across LIC Jeevan ankur proposal sent by LIC representative (direct from LIC not any agent). Meantime, I look into the review above (from Mr Hemanth) which could be a eye opener from some one !! All major blog sites are majorly handled by Equity linked organizations. If you read all their blogs, you will find out that they are majorly recommending investors to invest in Mutual Funds or equity. If you read the article that was mentioned on the url you have given below- Back gear of your Investment Vehicle. You will find out that their reason of criticizing LIC is because they are recommending Equity Solutions only. As far as the presentation of the what they have shown is totally incorrect. LIC has always given a least of 7 to 8% returns. Illustration on LIC website is not bonus or loyalty based. It is on simple rate of interest of 6% and 10%. That is a standard requirement from IRDA and if you see all LIC plans you will find the same illustration for all the plans. However, ideal return calculation is totally different. The bonus and loyalty LIC gives if converted to ROI is basically compound rate of interest and not simple. They have shown just a simple rate of interest, that is not possible at all. The process of calculation of LIC Is Sum assured plus bonus or loyalty(whichever is applicable). Very normally people say that there is no guarantee that LIC will give bonus or loyalty, when we have given bonus since 1956. The actual calculation process is= sum assured plus loyalty. In your case, the sum assured is 50Lac, wherein you have given 41.5 lac as premium. Loyalty, if we consider a least yield of 6.5% will be Rs 65 per 1000 sum assured. Total maturity = 1 crore plus. Since loyalty is a huge amount we can not consider this as zero. Or it has never happened that LIC has not given bonus or loyalty in the past. Since LIC is not a bank that is why we are not talking about RAI, but bonus or loyalty rates. We have a huge track records of 56 yrs. Wherein, people recommend MF or equity where the track record is nothing but all returns are rather dependent on market. Moreover, if we see insurance benefits, isn’t that totally secures your child’s life? Child is not required to pay anything and still gets everything. What other investment offers such benefits. Thanks for sharing this – I don’t think there is any need to provide my explanation on this – link of moneylife is sufficient to validate my point. Take a cool headed decision. It really helps people to understand the difference between Investment and Insurance. hi hemant,nice to read all u write an i must assure u that it is indeed a learning and eyeopening experience for many like me who is planning to go for a policy.Can u suggest the best child plan available as on date for my son who will turn 1 yr in mar 13.i am ready to invest 40000-50000 yearly,i would like to see the maturity when he turns 17/18 and steps out from school to college.waiting for reply..
thanks for eye opening.i almost made my mind to go for jeevan ankur then started for review and found this page.may be i will go for regular lic policy for me. can u suggest the best child plan available for my 14 months old daughter as i am planning to invest 40000-50000 yearly,i would like to see the maturity when she turns 17/18 and steps out from school to college.waiting for reply.. I want to take rs 1 lac policy for my child, I have to take it only from LIC (compulsion) in which child is beneficiary not the nominee… which one is best.. in fact i have to take two policies.. Please reply at the earliest..
Not understood your “Compulsion” Point? One thing to add age of my children are less then 2 years..
*The above returns as per current bonus rate. LIC policy is the tool to create liquid estate without taking any pain, It’s a back up file of our income. One mistake we all do that we don’t consider to take the LIC policy at early age with lower premium. In proposed DTC code Govt. proposed the tax on PPF and long term capital gain tax on Equity, the only instrument where you will get the TAXFREE returns is the life insurance policy where your insurance premium is lesser than or equal to 5% of the sum assured. Remember one thing LIC is THE BIG FII in India who has invested BIG amount in Indian Equity market, whenever market crashed LIC has been come to buy the equities and support the market. In many BIG companies of India LIC has more than 10% holdings, you name the company LIC has the presence there. Whenever market crashed everybody rushed to withdraw their investment at whatever price. As per Govt. mandate LIC mainly invest in the DEBT and Govt. securities to protect our hard earned money and has manage to give the best returns better than any debt product since 57 years. Becuase of the BIG SIZE of LIC. they have the demanding power in the Debt market also, that’s why only LIC can come with the GUARANTEED RETURNS PRODUCT every year. The common rule for investment is – Do not put all eggs in one basket, so every one should do long term SIP’s in Mutual fund also as per your risk taking ability. One request- Please do not compare any endowment insurance product with equity returns. The one most important point I want to make is for our financial goals we need SOME GUARANTEED MONEY for that specific purpose and if the instrument where we invest is not giving any guarantee then how we can achieved that goal? Is the returns are important than achieving our Goals? Share market may give or may not give the returns which we have planned, it’s a risk, so in my opinion for our goal we need to do some basic planning with LIC (because it’s HUGE and guaranteed by Govt. of India and MOST TRUSTED BRAND OF INDIA) and some fund with Equity market. After all, all the people who are reading these kind of blogs are intelligent enough to take the decision for their financial goals. Hi Hemant, I am planning to secure my son’s education needs in coming future. Please guide me for which policy to go ahead. He is just 3 Months old now. sir, i m a teacher in govt school and going to fill up pention form, so may i know that which one policy will be benificial to us. second thing is that what is the meaning of nominee percentage, i want to declare two nominee ..first one is husband and second is daughter. so i can give 100% to each one. As the pension plans from insurance companies have become very unattractive after IRDA new norms. You can look at building Retirement corpus through SIPs in mutual fund or you will have option of New Pension Scheme (NPS). When you are declaring two nominees then you need to specify how much each will get i.e. % amount the total of which should be 100%. So it should be 50% each if you want them to have half the share. Hai Hemant, Sensible comments regarding Jeevan Ankur. Please advice me a good Sensible child Plan from LIC. I am 42 yrs old with 3 daughters & 1 son. I would like to go for child plan for all 4 kids. Age of my kids; Eldest; 7yrs, twin girls ;4 yrs, Boy; 1yr. I am expecting your valuable response. Read the below article on how to plan for your child future. It will clear most of youe doubts. Im being introduced by an agent to a LIC policy by the name of LIC golden money back package..can you please advice if its actually worth it? Money back policies are most costly among traditional plans and so they fails to deliver returns which can beat inflation. Good to avoid them. You can get the information from your policy document which will have all the details regarding the product. I want to know my another policy.My age is 30 years. I have invested Rs.15608/- per year(3902 Quartely) in the Jeevan Ankur Policy for a term of 21 years( For our kids) on a sum assured of Rs.4,00,000/- at this age. I paid only first premium in this policy. Could you please say me the approximate amount i will get on maturity also suggest me is it best policy for return or not. Both the products are traditional plans which do not fetch you higher returns. The primary reason for this is the higher cost and the nature of investments. Any investment which is not meeting your end objective is not worth investing. Traditional insurance plans are not able to generate good enough returns due to their structure. So ideally you should exit and consider those investments which match your requirement. I agreed with the statement that this is a worst policy ever for child future plan. How….???? Jeevan Ankur Policy Term :-21 yrs. Here we are assuming that Loyalty addition rate is 300 PT, then total loyalty amt. at the end of maturity will be (200000/1000)*300 = 60,000.
if we compute IRR on the basis of above illustration, the IRR will be 3.06%. The return rate which this plan generates would be lower in comparison of a normal FD rate after taking into account the life cover cost, so the opportunity cost would be very high. Even this plan is also not generating return if compare to with Inflation rate. Hello sir,I had purchased jeevan Ankur policy 9 September 2011 for 20 year annual premium is 31,947 with both ridder.l hv paid 4 premium. I couldn’t understand any critical language.I want to know only what will I get after maturity. Please help me . The tentative maturity should be illustrated in your policy illustration. That is the amount you will get. but since the bonus rate is not pre decided the actual amount you will come to know only on maturity. my father had purchased Jivan Samruddhi plus (unit link ) policy in 30th march 2011 and he died in 21st September 2011 due to cause of cancer, he register nominee on that, policy still is in force, what process should I follow or LIC required any hospitalization paper for settlement or tell me the process of surrender. First you need to intimate the company about the death of your father. Then you will have to submit few documents such as death certificate, nominee identification and address proof, hospitals report etc.. Once the company completes their survey they will pay the amount to the nominee. You can write to the company to get the documents list or contact your agent. For maturity or surrender the date of commencement is important as that’s the date the years will be calculated. Ideally it is also he due date of your premiums. Not sure how there is a gap of three months in policy commencement and the first year premium you have paid. Check with LIC . Date of commencement is The date on which cover begins, following acceptance of the risk by the insurer. Date of enrolment is the date in which you enrolled or entered details on LIC website. If you enroll a policy today, then you would see enrollment date as today irrsepective of when you bought the policy or commencement date. 5 years would be from date of commencement. Your goals of child education and retirement will not be met by these plans. One should not mix investment and insurance. Go with Mutual funds for growth and PPF for debt in investments. and take a term plan with adequate cover as life insurance and also take a health insurance for you and your family if you haven’t taken one. I have bought Jeevan Ankur in the year 2012. Can I withdraw this policy now?